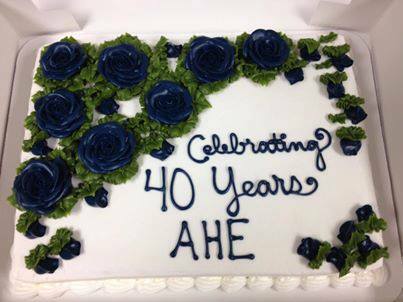 How did your campus celebrate AHE's 40th anniversary? Aug. 29 marked 40 years of the Division of Adult Higher Education extending its reach to the Evening Campus, Online Campus and 34 Nationwide Campuses. It all started at the St. Louis campus in 1973 in response to Army recruiters looking for flexible educational opportunities for military personnel in the area. The St. Louis campus recently was renovated and rededicated its campus to coincide with the anniversary. Check out the Spotlight story on the Columbia College homepage for the full story. St. Louis wasn't the only campus to celebrate, though. 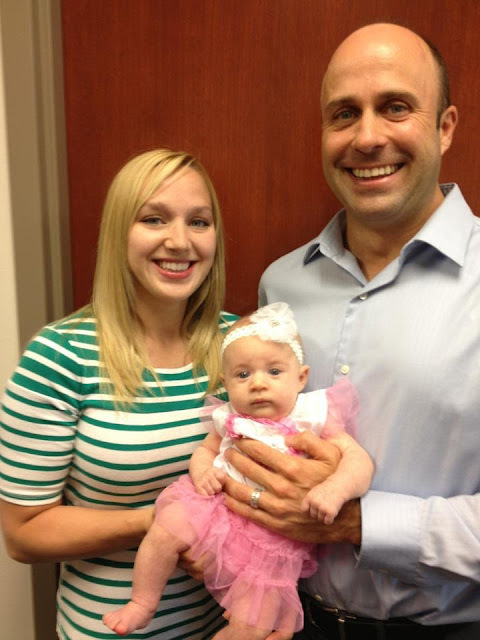 Check out how the Springfield campus observed the anniversary on Aug. 29. We hope you joined in the festivities! Academic Advisor Kalah Kemp with husband and Adjunct Instructor Scott Hall, with their new baby, Azure Hall. Monday, September 09, 2013 Chk out- How did your campus celebrate AHE's 40th anniversary?